don’t you just enjoy seeing a reaction like this? thanks to Facebook sister, Jenny Lim’s contribution.. Looking at the ingredients Im sure it taste really good! Loved your super-good butter cake Victoria! 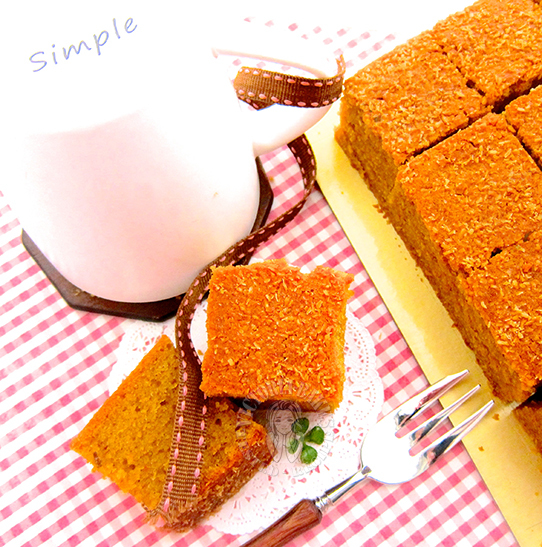 I am sure the fragrance of gula melaka and coconut sugar made you want to grab for more. Victoria, this looks similar as Kelvin Chai\’s recipe in I Love Butter 2 which I also baked again recently. Now looking at your cake, making me craving for it! Victoria, gula Melaka and coconut milk is a powerhouse combination. Put that into a butter cake and you have something irresistible. Must try! 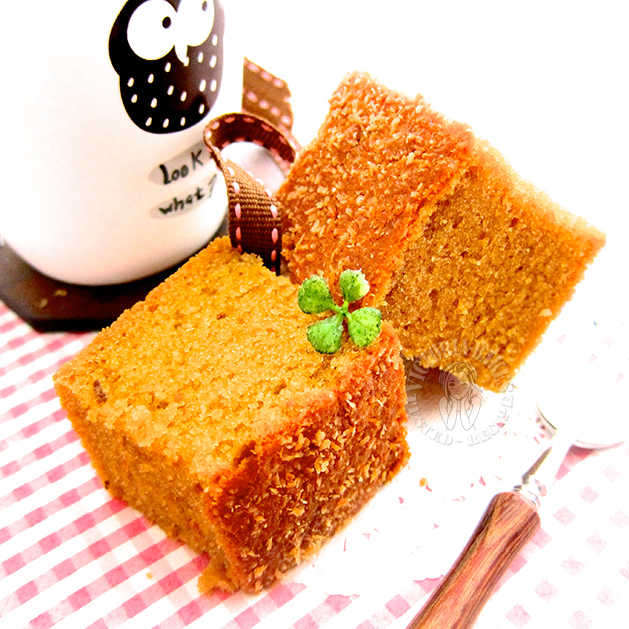 Hi thanks for sharing recipe of Gula Melaka Butter Cake. Can I subsitute coconut milk with any other liquid. Is soy bean milk ok? 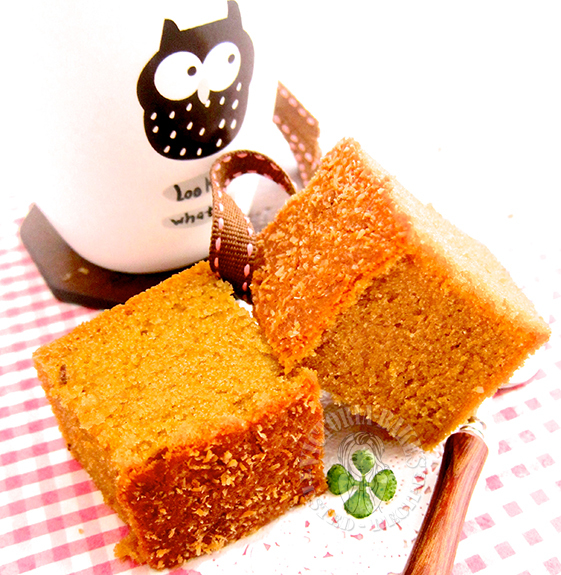 And what is coconut flower sugar? Hi Rita, i do not encourage as it will affect the taste. Further, coconut milk e.g. ayam brand in this instance has a different consistency from beverage like soy milk. I do not think it will be too big a deal if you absolutely want to make a substitution, though i will say, please don\’t. The cake in this flavour is a winner. This recipe looks delicious!! Would like to try it but I do not have coconut cream powder in my pantry. Is there any thing I can substitute it with? Hi! Great recipe, can I know if I can substitute coconut milk with liquid coconut cream? Love this! Shall try out soon, thanks!!! Hihi….do I have to keep the cake in the fridge as it contains coconut milk? I baked this gula melaka butter cake today 😋. Very soft and delicious. I think it would be superb is put some gula melaka coconut on top 😂. Hi, the 5 eggs are of what size? 55g/60g/65g/70g? Thanks.